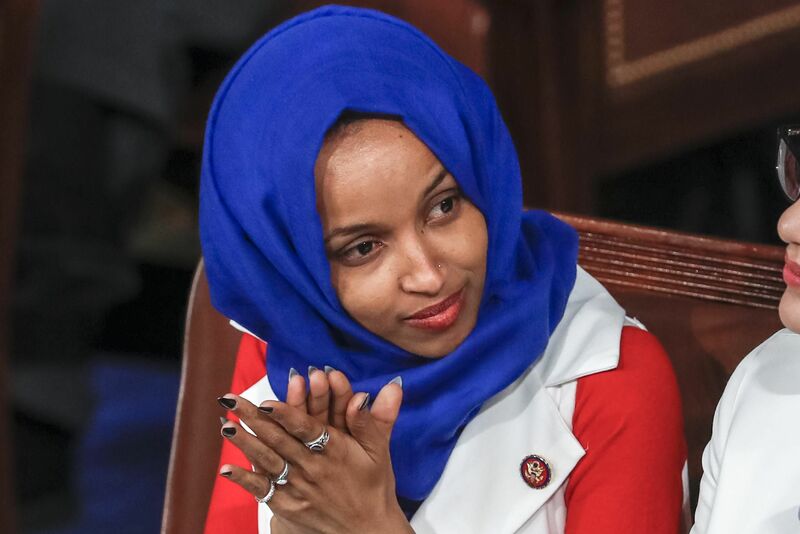 Rep. Ilhan Omar (R-MN) has become a lightning rod for criticism as the Somali migrant takes shots unabashedly at Israel and the Jewish people, and she is reaping the benefits from her record of hatred and extremism. The radical Muslim community is coalescing around Omar as they have finally found the Jew-hating champion they have been waiting for. They are papering her over to make sure that she can stay in Congress to plant the seeds for an Islamic conquest of the United States. “Omar recently spoke in Florida at a private event hosted by Islamic Relief, a charity organization long said to have deep ties to groups that advocate terrorism against Israel. Over the weekend, she will appear at another private event in California that is hosted by CAIR-CA PAC, a political action committee affiliated with the Council on American Islamic Relations, or CAIR a group that was named as an unindicted co-conspirator in a massive terror-funding incident. Omar’s latest anti-Jew stunt is to encourage Democratic Presidential candidates to skip AIPAC’s annual conference that is currently underway. Despite AIPAC’s firm commitment to promoting progressive values, the fact that they are Jewish in origin makes them a frequent target for Omar anyway. As usual, it took President Donald Trump to cut through the political correctness and call a spade a spade. Jews need to wake up and understand that after the Left comes for white Christians, they are next on their hit list. Omar is just the start. You have a choice: Vote Republican, or be consumed by socialist human garbage and anti-Semitic Islamic despots.